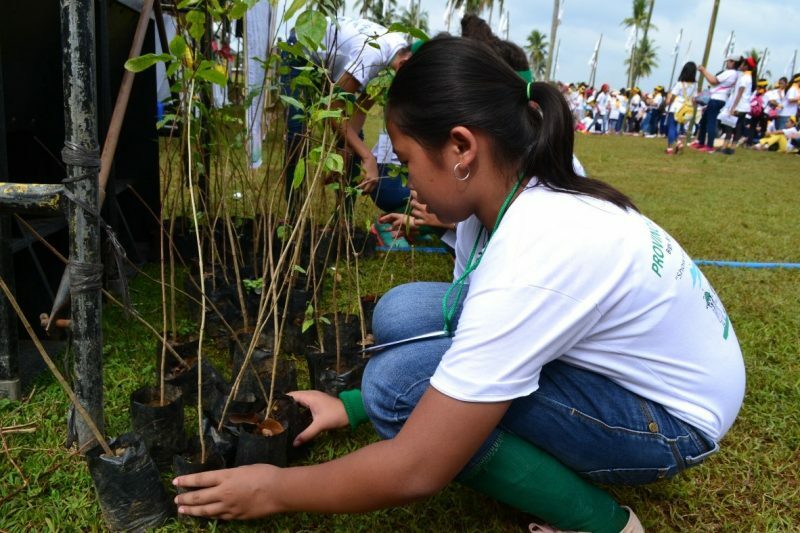 Over 4000 members of the Girl Scouts of the Philippines participate in this year’s “Save the Earth” activity supported by the JG Summit Petrochemicals Group. JG Summit Petrochemicals Group (JGSPG) continues its regular tree planting activities as part of its efforts to help preserve the environment. In October 2018 alone, the group donated 2,500 forest tree seedlings to different partners in Batangas who advocate environmental protection. With the help of the Provincial Environment and Natural Resources Office (PENRO), Mabini Municipal Agricultural Office, Bantay Dagat Mabini Batangas Chapter and local officials, 500 seedlings were planted on October 19, 2018 along a five-kilometer stretch in Brgy. Solo, in the municipality of Mabini. This is part of the local government’s engineering plan to help strengthen the road sides from future soil erosion and landslides. The said roadside stretch leading to Mt. Gulugod Baboy, a tourist destination, was under construction and scheduled to open to the public soon. 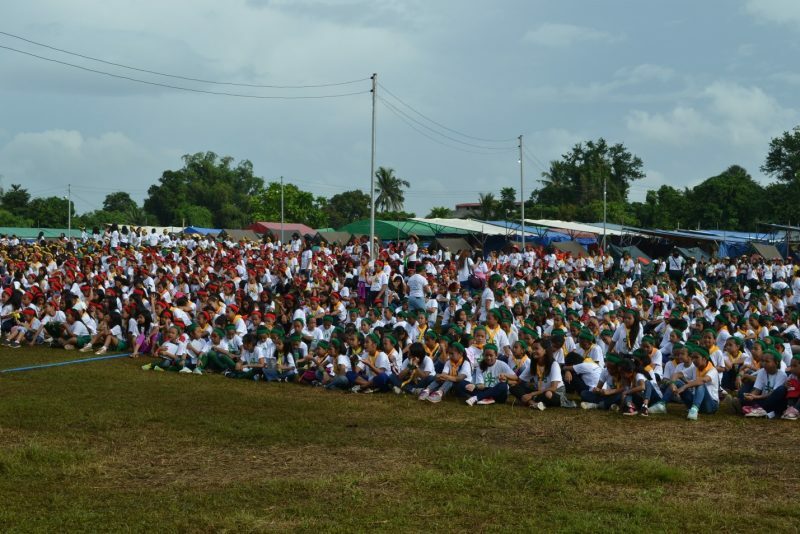 Subsequently, over 4,000 members of the Girl Scouts of the Philippines (GSP) helped plant 2,000 forest seedlings last October 21 and 28, 2018 in Brgy. Banaba in the municipality of San Pascual. The activity was part of GSP’s six-day camp, which was graced by Batangas Governor Hermilando Mandanas and San Pascual Municipal Mayor Roanna Conti. JGSPG has been supporting the GSP’s “Save the Earth” campaign for two consecutive years. Members of the Girls Scouts of the Philippines take part in potecting the environment by planting trees in Brgy. Banaba, San Pascual, Batangas. The forest seedlings were donated by JG Summit Petrochemicals Group. 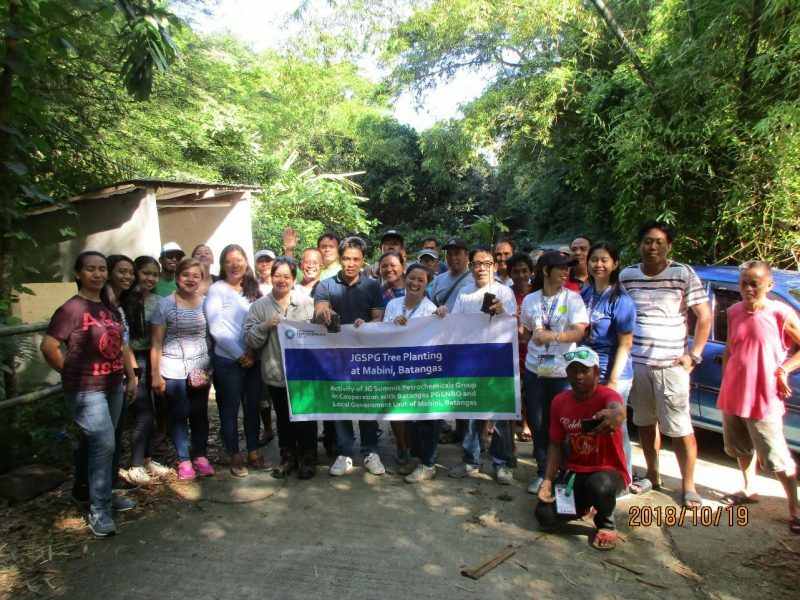 Members of the Provincial Government Environment and Natural Resources Office (PGENRO), Bantay Dagat Mabini Batangas Chapter, local officials and the Community Relations Group of JG Summit Petrochemicals Group join forces to plant 500 forest tree seedlings in Brgy. Solo, Mabini, Batangas. 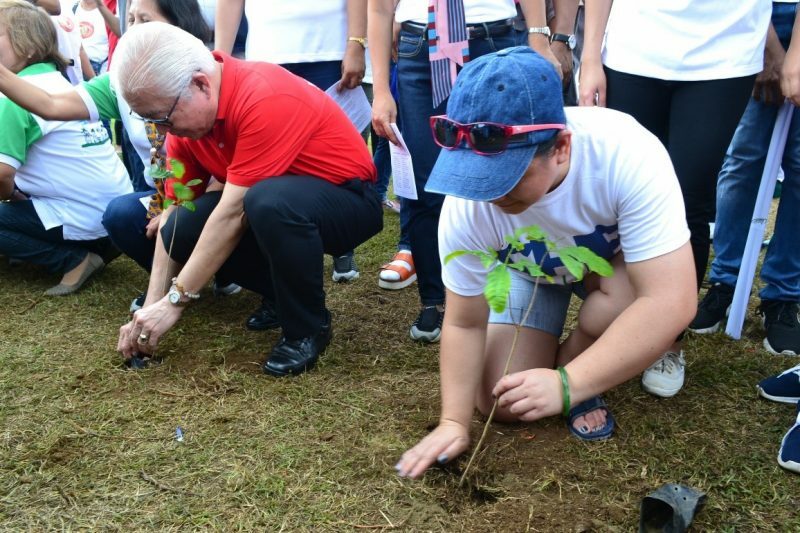 Batangas Governor Hermilando Mandanas joins the tree planting in Brgy. Banaba, San Pascual, Batangas, part of the Girl Scouts of the Philippines’ “Save the Earth” activity held last October 2018.